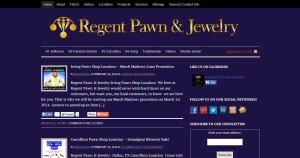 Regent Pawn & Jewelry address, phone, website, hours of operation, and more. 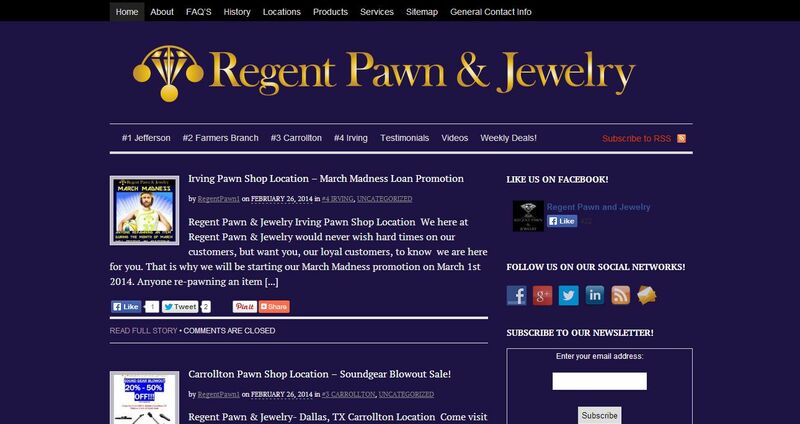 Regent Pawn & Jewelry, a family owned and operated business, has served the Dallas and surrounding communities for more than 35 years. We offer Pawn Loans, Cash for Gold, Sales of Merchandise, Layaway Plans, and Jewelery Repair! We also have a wide variety of products for sale such as Lawn Equipment, Jewelry, Collectibles, Electronics, Firearms, Musical Instruments, Sporting Goods and Equipment, and all kinds of unique and miscellaneous items. Since we buy items from our customers to resell you may never know what items we’ll have for sale!